At the beginning of the First World War, Glasgow was the leading militant city, the major centre of mass support for the anti-war movement. 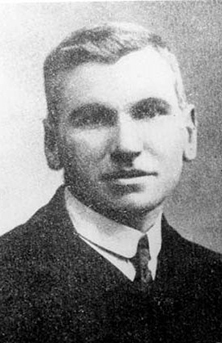 John MacLean grew to be a giant by his anti-war stance. Though he was an important figure he was not alone. 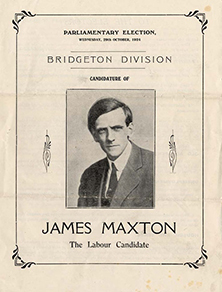 James Maxton and his sisters were on holiday the day that war was declared and immediately decided to hold a street meeting against the war. There were many more like minded people in the City. Pro-war meetings in the city were more than likely to turn into anti-war demonstrations. Glasgow's socialists, in all their various groupings, campaigned for peace from the day war was declared and continued their efforts right up to the armistice. Among the groups involved were the ILP, the Labour and Socialist Alliance, the Women's international League, the Peace Society, the Women's Social and Political Union, and many others. But the Women's Peace Crusade was possibly the one with the largest following and in Glasgow the one with the largest working class grassroots support. Women's position in the First World War was split. The suffragette movement split in diametrically opposed attitudes. 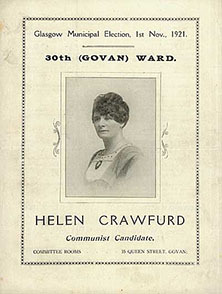 In Glasgow Helen Crawfurd signified the anti-war grouping and became a major force. While Helen Fraser led the push for support of the war. The first world war was the first total war. It introduced massive civilian mobilisation into the army. It forced the domestic economy to swing over totally to the war effort. With this came the flood of female labour into industry. Here we saw contradictions emerging, women's industrial ability contrasting with the accepted female virtues of wife, mother and nurse. With men away at the war it showed women very capable of organising when faced with new challenges. Two examples of this were the rent strikes, and the peace movement. The fact that the peace movement survived at all in the face of massive government anti-German, pro-war propaganda and a vicious jingoistic pro-war press stands as testament to the tremendous courage and principles of all those involved. Women were also involved in other struggles such as the No Conscription Fellowship, but it was the Women's Peace Crusade that made the greatest contribution to the peace struggle. On August 9th 1914 the ILP and the Glasgow branch of the peace society organised an anti-war demonstration of 5,000 people on Glasgow Green. On June the 29th 1916 Lloyd George was invited to Glasgow by the City of Glasgow Corporation to receive the "Freedom of the City". This brought about violent demonstrations against such an action with calls that the "Freedom of the City" should be give to John MacLean, David Kirkwood, and others who were at that moment in prison for their anti-war stance. Lloyd George was advised not to come to Glasgow as there would be a revolution when he arrived. Glasgow's unusual political mix, the remarkable day-to-day links between feminism and socialism, between the ILP and the Women's Social and Political Union, plus the neighbourhood groups strengthened through the rent strike provided a unique seedbed for a popular women's anti-war protest movement. On June 10th 1916 came the launch of the Women's Peace Crusade headed by Helen Crawfurd. 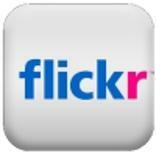 Over 200 women from 16 organisations attended. Following this conference a campaign of street meetings were organised, the first of these being held in Springburn and Maryhill. This was a deliberate attempt to involve working class women in the campaign. The Women's Peace Crusade moved the anti-war protest out beyond the earlier small-scale narrowly based groups, it creating effective links with working class women across Scotland, not just with committed socialists but with a broad range of women concerned about the war's effect on families, homes and jobs. Glasgow June 1917 saw the national launch of the Women's Peace Crusade, after which it spread like wild fire across the country and it remained consistently active until the end of the war, by which time it had over 100 branches. The Glasgow movement continued with its activities on all fronts, street meetings, public meetings, meetings outside shipyard gates, marches, demonstrations on Glasgow Green, selling badges, distributing literature and so on. At one demonstration outside the Glasgow City Chambers, when the City Corporation refused to see their delegation Helen Crawfurd and Agnes Dollan broke into the building and showered councillors with leaflets. On another occasion both they and Mrs Ferguson were arrested and later admonished. It is reported that they were at first offered their freedom if they would refrain from holding any more meetings, they refused. Comparing Glasgow's anti-war campaign with Manchester's, probably the next largest movement, Glasgow's was predominantly working class where as Manchester's was mainly middle-class with strong links to Manchester University. The Women's International League though anti-war held regular monthly meetings in public halls with noted speakers but not always dealing with the war. At large public meetings they held, national figures in the peace movement would speak. But in Glasgow the main contribution of the Women's Peace Crusade was the constant grassroots work done by local propagandists. Some of this effort can be gauged by the sheer number of street meetings held over a 3 week period during June/July 1917. During this short period the Women's Peace Crusade members spoke at street meetings in: Partick, Maryhill, Bridgeton, Parkhead, Govan, Govanhill, Whiteinch, Shettleston, Springburn, Possilpark, Bellahouston, Rutherglen, Paisley, Barrhead, Overnewton, Cambuslang, Blantyre, Alloa, Cowdenbeath, Drongan, Drumpark, Douglas Water, Lanark and Edinburgh. On Sunday July the 8th 1917 the Women's Peace Crusade organised a mass demonstration in Glasgow; from two sides of the city processions wound their way through the city accompanied by bands and banners. As they approached the Glasgow Green they merged into one massive colourful demonstration of some 14,000 people. This was essentially a housewives' movement including married women whose husbands and sons had been killed in the war. The emphasis was on the family. At demonstrations women, men and children marched in separate contingents. The children would carry banners bearing such slogans as "I want my Daddy". The crusade also had religious overtones with the badges of the "Angel of Peace" protecting children. This in no way saved them from attacks, both physical at their meetings and literary in the press. Both these attacks were on occasions lead by the clergy. This link between the socialists on the one hand and the religious pacifists on the other was an attempt by the Women's Peace Crusade to create a broad mass movement against the war. After the Armistice, these women who had challenged the accepted naive "Idealism", courageously opposing the war from the very beginning, felt mixed emotions; remorse at the number of young men's lives lost and maimed, yet hope that it might never happen again. Reproduced with thanks to Glasgow Caledonian University Archives: The Gallacher Memorial Library Collection. Taken from an online university book called Radical Glasgow, which traces the history of radical movements in the city of Glasgow, placing Red Clydeside in a much wider context.